eToro began operations in 2007 as a disruptive force in the trading arena. At the heart of this company’s operations was a desire to break down the barriers to entry for everyday traders. Prior to the advent of eToro, trading and investing was largely the domain of the well-heeled; Wall Street executives in their ivory towers. Traditional trading practices were embedded deep in the existing financial systems. The failure of financial institutions during the global crisis resulted in a reassessment of trading and investing activity. The inflexible nature of traditional trading facilitated the rise of FinTech enterprises intent on catering to a large and growing market of dissatisfied traders. The founders of eToro (CEO Yoni Assia, CPO Ronen Assia, and David Ring former CTO) envisioned an entirely different trading paradigm. They sought to make trading accessible, understandable, and enjoyable to traders all over the world. Towards the end of Q3 2007, eToro created the visual FX trading platform for forex pairs. As eToro operations grew, the company launched additional tools and trading platforms to assist clients. These include WebTrader (released in May 2009) for trading currencies, commodities, and indices online. WebTrader was all-inclusive; geared towards advanced traders and novices alike. As the company’s base of operations expanded, the tech and trading teams advanced OpenBook. Released in July 2010, this social trading platform was a watershed moment for the company and the industry at large. Breakthrough technology made it possible for traders to copy successful traders, thereby mimicking their trading activity and their attendant profits. Such was the success of this trading feature (known as CopyTrader™) that eToro was awarded the Best of Show award by Finovate Europe in 2011. 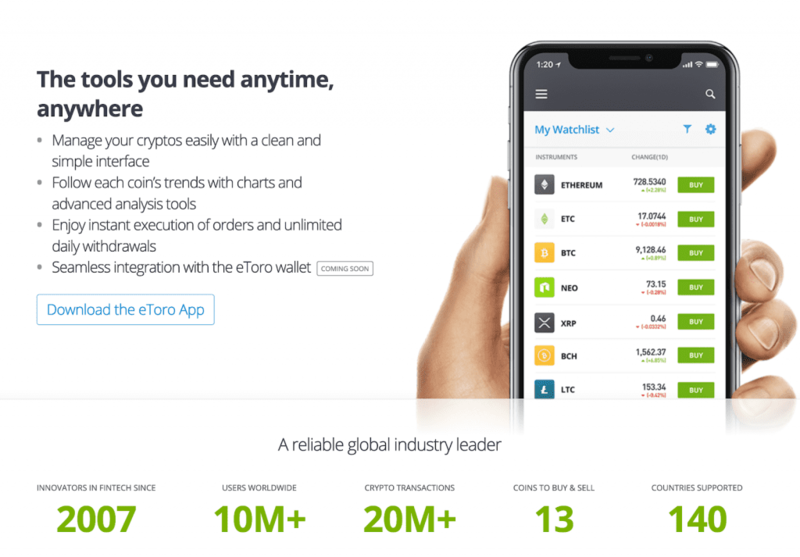 Over the next two years, eToro introduced a mobile application for trading multiple financial instruments. The eToro mobile app allows traders to use smartphones and tablets with OpenBook and WebTrader platforms. A new user interface was revealed in 2015. By integrating the social trading features of OpenBook and the trading capabilities of WebTrader, a full range of trading features, functions, and assets can be accessed on one interface. By February 2016, CopyFunds was replaced by CopyPortfolios. This innovative form of machine learning engines automatically manages portfolios under preset strategies. The cryptocurrency boom of 2017 and 2018 gave rise to an expanded crypto offering at eToro, with several leading cryptocurrencies such as Ethereum (ETH), DASH, Litecoin (LTC), Bitcoin (BTC), and Ripple (XRP). Midway through 2018, eToro commenced trading operations in the US, with digital currency trading. It is important to point out that the trading platform eToro is primarily a social trading platform. It is a FinTech front-runner, with an expansive collection of financial instruments available to traders of all types. The Live Webinars, Customer Support, and Trading Academy provide all the necessary assistance traders require to understand the intricacies of the financial markets. The trading activity on eToro typically takes the form of CFDs (contracts for difference) on multiple asset classes. eToro indicates that there is a significant risk of loss when trading CFDs among retail investors. This serves to highlight the importance of a sound education to successfully trade financial instruments online. The copy trading options are perhaps the best-known features of this social trading platform. CopyPortfolios allow clients to maximise their investment activity by reducing long-term risk and diversifying their financial portfolio. The social trading aspect is relatively easy to understand. Traders simply select the most appropriate CopyPortfolio, enter their investment amount, and click to invest. eToro automatically rebalances financial portfolios to ensure that maximum yield is generated. The benefit of a CopyPortfolio is that anyone can trade like a professional trader by mimicking their activity. The all-encompassing nature of the eToro trading platform is designed to attract traders and investors from far and wide. The site is available in 20 languages including English, Spanish, Italian, German, Russian, Chinese, French, Swedish, Vietnamese, Dutch and Polish. This makes it relatively easy for traders and investors to understand the unique resources and trading opportunities available on site. Popular Markets – There are multiple broad categories of markets at eToro including currencies, indices, commodities and crypto. Popular stocks include Apple, Google and Facebook. Popular commodities include Gold, Oil and Natural Gas. Popular currencies include EUR/USD, USD/JPY and EUR/GBP. 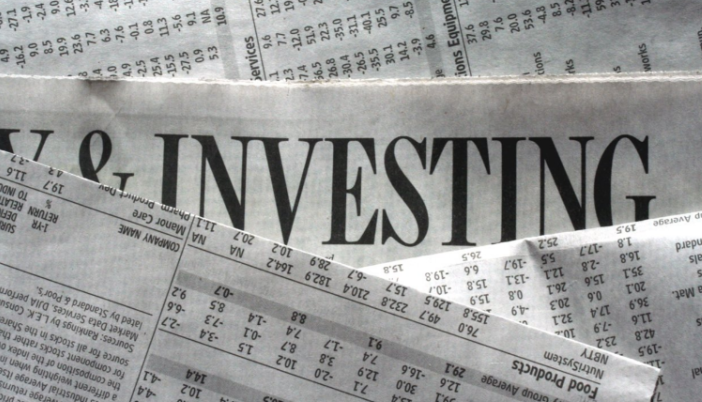 Popular ETFs include Proshares Ultra S&P 500 (SSO), SPDR Gold (GLD) and Emerging Markets Index (EEM). Popular indices include Nasdaq (NSDQ100), DAX Index (GER30), and Dow Jones (DJ30). Popular cryptocurrency offerings include Bitcoin (BTC), Ethereum (ETH) and Litecoin (LTC). Cryptocurrencies – BTC, BCH, XRP, DASH, LTC, TTC, ADA, ETH, MIOTA, XLM, EOS, NEO, ZEC and BNB. Currencies – EUR/USD, GBP/USD, USD/CAD, NZD/USD, USD/CHF, EUR/CHF, GBP/JPY, EUR/AUD, and dozens of others. A mix of major pairs, minor pairs and exotic pairs is available. Commodities – platinum, copper, natural gas, gold, oil, and silver. Stocks – stocks are listed by exchange or by industry. There are scores of stocks listed on the following exchanges: Hong Kong, Helsinki, Stockholm, Copenhagen, Zürich, Oslo, Madrid, Milan, London, Paris, New York and Frankfurt. Popular options abound in technology stocks, consumer goods, financial stocks, healthcare stocks, basic materials, services and the like. Google, Facebook, Johnson & Johnson, Caterpillar, Boeing, Airbus, BHP Billiton, Anglo-American are examples of popular stocks. 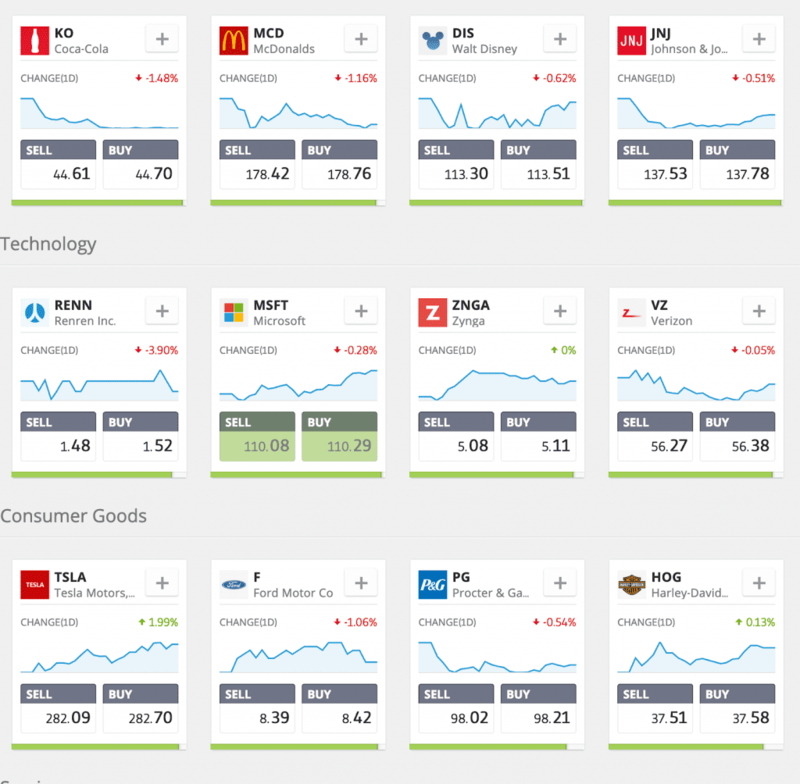 Indices – over a dozen global indices are featured on eToro’s trading platforms. These include the SPX 500, JPN 225, GER 30, ESP 35, DJ 30, UK 100, and EUSTX 50. ETFs – exchange traded funds include dozens of options such as ACWI, CORN, DBA, DIA, EFA, GDXJ, GLD, IDEM.L, IEMG, IEUR, IPAC, ITOT, IUSA.L and many others. eToro the trading platform features both a wallet and an exchange. The trading platform is separate from the exchange which is known as eToroX. This is geared towards blockchain technology and e-Token technology. eToroX offers a fully regulated cryptocurrency exchange wallet to traders and investors. It is fully secure, regulated by the Gibraltar Financial Services Commission (FSC1333B) and professionally supported by expert customer service. The eToroX Exchange opens up an entirely new world of digital currencies and trading opportunities to clients and all transactions are expedited at rapid pace. These financial instruments can be traded with buy or sell options online. By taking a bullish or bearish stance, traders can lock in a trade and add it to their portfolio. 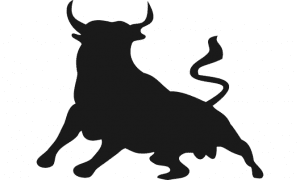 The eToro watchlist is used to track the performance of financial instruments. Traders can simply login and add an instrument to the watchlist to gauge its performance over time. The eToro Club provides an exclusive range of benefits to members, notably access to sporting events, cultural events, or financial meetings. There are currently 5 tiers in the eToro Club, including Silver, Gold, Platinum, Platinum +, and Diamond. As players advance from lower-level tiers to higher-level tiers the range of benefits and services increases accordingly. Throughout it all, a full suite of investment resources is available to traders. This includes expert insights from trading aficionados, technical analysis, graphs, charts, financial indicators, economic calendars and the like. eToro’s proprietary trading signals platform is also geared towards providing clients with in-depth analysis and insight into the performance of financial instruments.